This 3 bedroom, 2 full bath home was recently sold for $150,000 by Sam Cooper, a top-selling Realtor with HER in the Villages at Sycamore Creek community. This charming 1,254 square foot ranch home is situated on a .23 acre lot. Features of this home at 378 Sycamore Creek Drive include a large great room with fireplace, vaulted master bedroom, and a large backyard deck with landscaping. Community pool and clubhouse. If you know anyone interested in buying or selling a Villages at Sycamore Creek home, be sure to have them contact Sam Cooper, HER Realtors. 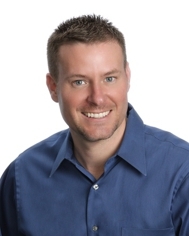 Sam Cooper is a top-selling agent in Pickerington Real Estate. Call 614-561-3201.